Don’t worry, it’s not the same “Vampire Facial” we were horrified seeing selfies of celebrities covered with their own blood all over their face. This is a to-go gadget that you can use depending on your needs, without pain or blood slathered all over your face. The company stands for competence and innovation in medical engineering, and has over 10 years experience with The original Home Care Dermaroller HC902.Their manufacturing of microneedling devices and all other products are certified. 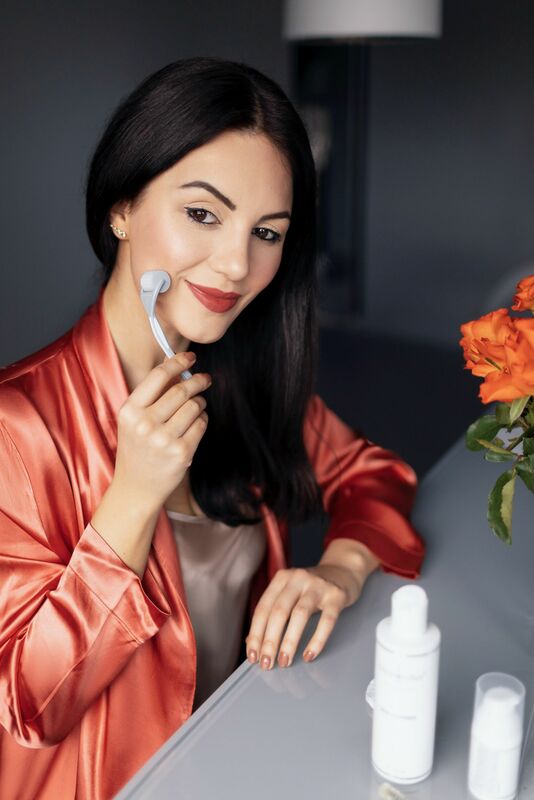 The Dermaroller therapy, internationally known as Microneedling or Medical Needling, is one of the most successful minimally invasive treatment regimes for the improvement of skin changes. You have probably seen numerous dermarollers from different brands, but this is The original Home Care Dermaroller HC902. This gadget helps to achieve a smoother, fresher and younger looking skin. It can also be used to support a professional / medical microneedling which has a huge impact, can reduce skin damages, acne scars, sagging skin, prevents fine lines, and wrinkles. The Dermaroller HC902 contains 9 needle rows (162 microneedles) at 0.2 mm in length. If you don’t press into your skin and roll it lightly, it won’t hurt. I actually love the prickly feeling of microneedles. You can feel it, but not to the point where it’s uncomfortable or painful. Who can benefit from dermarolling? When used properly, trust me, Dermaroller HC902 is a magic gadget for everyone. It’s made to achieve a flawless skin. 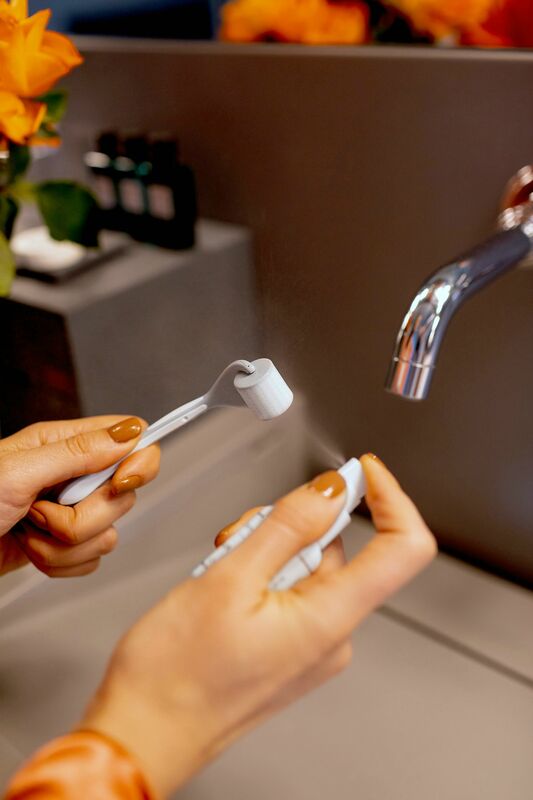 How to use your dermaroller? 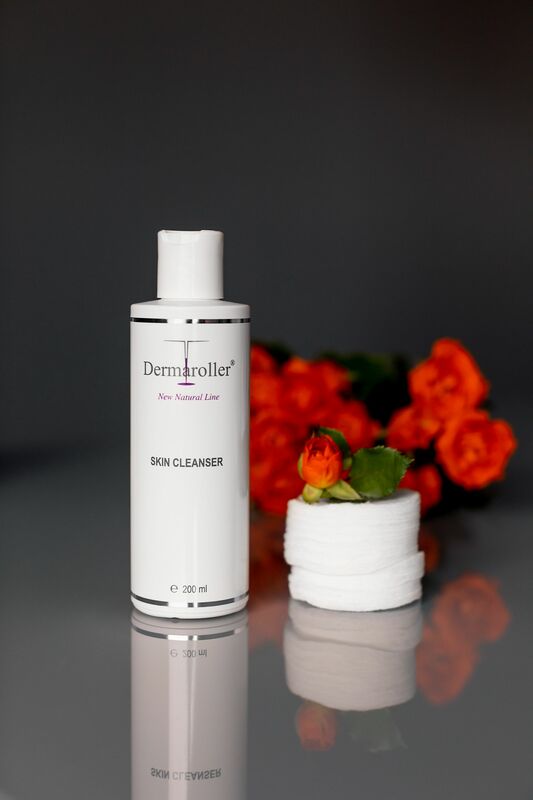 STEP 1: The most essential part before using the Dermaroller HC902 is cleaning the skin. If your skin is clean, you can prevent the penetration of bacteria in the top layer of the skin. The best is to use the New Natural Line Skin Cleanser for this. 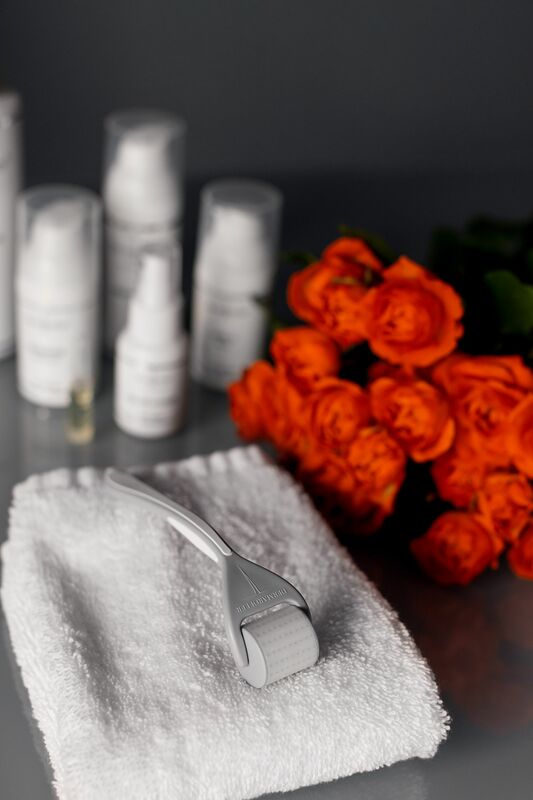 STEP 2: Star-shaped application (see the illustration above): Apply the Dermaroller HC902 over the skin areas to be treated using a little pressure. In doing so, roll horizontally, vertically and diagonally across the skin. Roll approx. four times back and forth in each area. STEP 3: Make sure that you lightly stretch the skin using your fingers in order to optimally reach smaller wrinkles and all areas that are hard to reach. STEP 4: Allow 10 to 15 minutes to pass so that your skin is able to recover well. Then apply a suitable care product. I love the Dermaroller products from the Hyaluron series (see below). They supply your skin with concentrated hyaluronic acid and plump up your skin from the inside out. Wach the video here for how to use the dermaroller in the right way. What product to use before dermarolling? Daily cleansing is not only for those who wear make-up or have skin impurities. 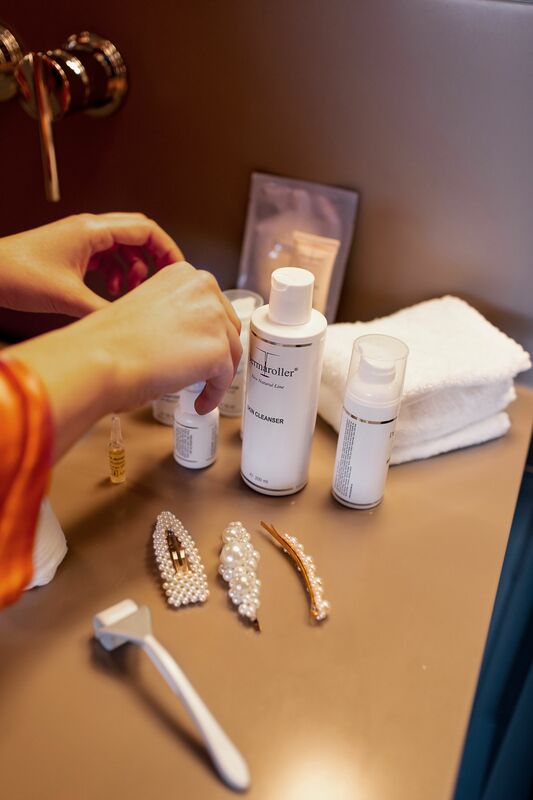 The first step of skincare routine to achieve healthy skin is to cleanse it. Washing your face every day is incredibly important for anti-aging and your overall health. The New Natural Line Skin Cleanser is based on a non-ionic surfactant (coco-glucoside), with Aloe vera and rice extract that have a moisturizing and revitalizing effect. This high-quality skin cleanser not only liberates your skin of dead skin cells and impurities, but also thoroughly removes make-up. Which are the best products to use after dermarolling? 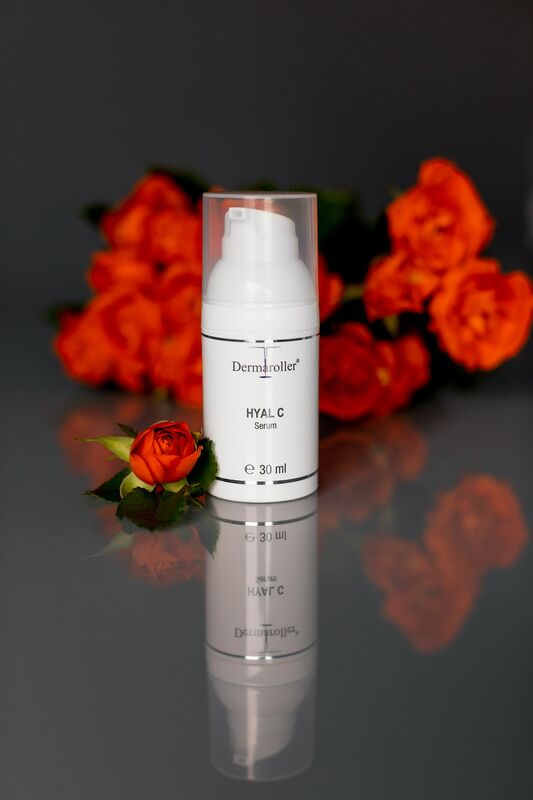 The Dermaroller Hyal C is a highly moisturizing hyaluronic acid serum. In combination with hyaluronic acid, is enriched with vitamin C, which also supports the formation of collagen. Cell damage is caused by free radicals, such as exhaust fumes, nicotine or other harmful influences, as well as by an unhealthy lifestyle. 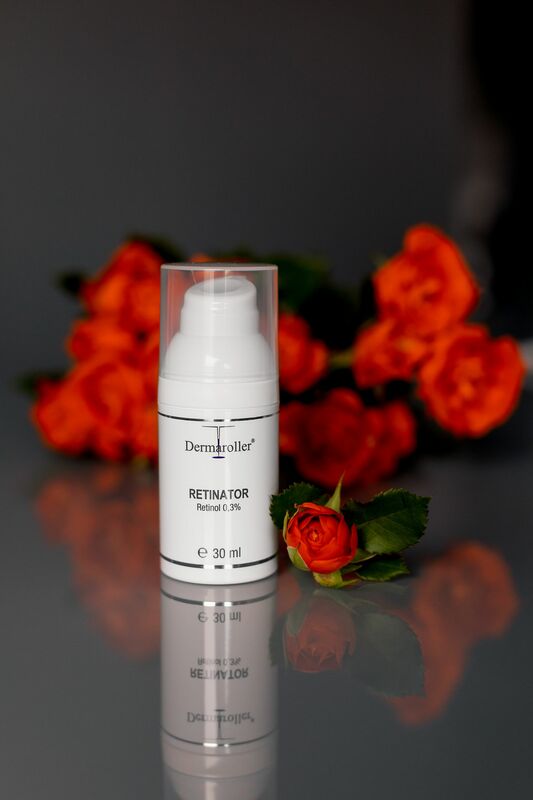 The Dermaroller Retinator is an anti-ageing miracle. It stimulates skin cell division and the regeneration of collagen thanks to its high retinol (vitamin A) concentration. Retinator is an effective night treatment, that improves the elasticity of the skin. The skin appears more youthful, fresher and firmer. The ACE moisturizer is a refreshing moisturizing cream with stimulating citrus fragrance for daily facial care. It contains natural ingredients, such as almond oil, safflower oil and jojoba, as well as hyaluronic acid. These ingredients protect the skin’s barrier and support the skin’s moisture balance. While you sleep, your body and skin cells regenerates and repairs itself. Those who sleep too little or experience too much stress, interrupt this process and the skin starts to look pale, tired and “old”. 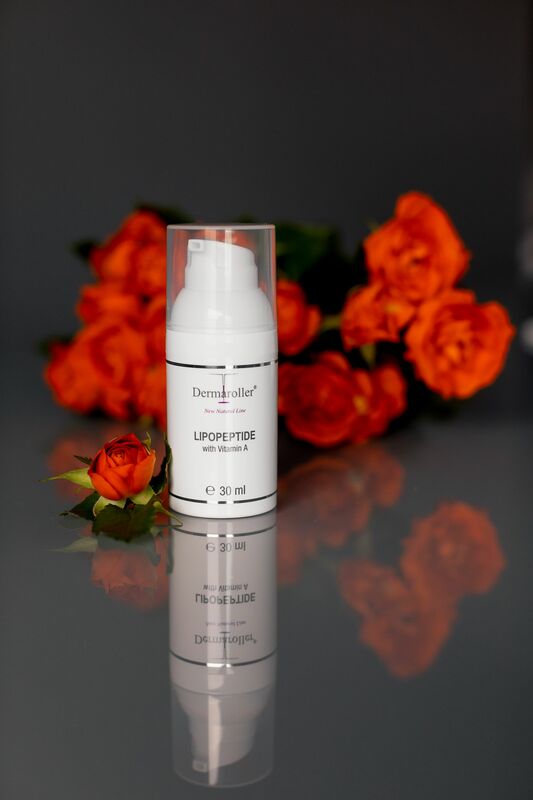 New Natural Line Lipopeptide with vitamin A has been specially developed as a night care treatment and contains enriching substances, which are supporting the cell repair mechanism of the body while nourishing the skin at the same time while you sleep. The Dermaroller Hyaluron Ampoules contain a highly concentrated hyaluronic acid serum for daily skin care. The serum in the ampoules is used for its natural moisturizing effect and stimulates the body’s regeneration of collagen and elastin. Regular use helps keep your skin looking younger and fresher with wrinkles visibly reduced. If you are also obsessed with sheet masks, you’ll love The Dermaroller Mask. It consists of a skin-friendly silk mask, which is soaked with intensive care and regenerating substances. 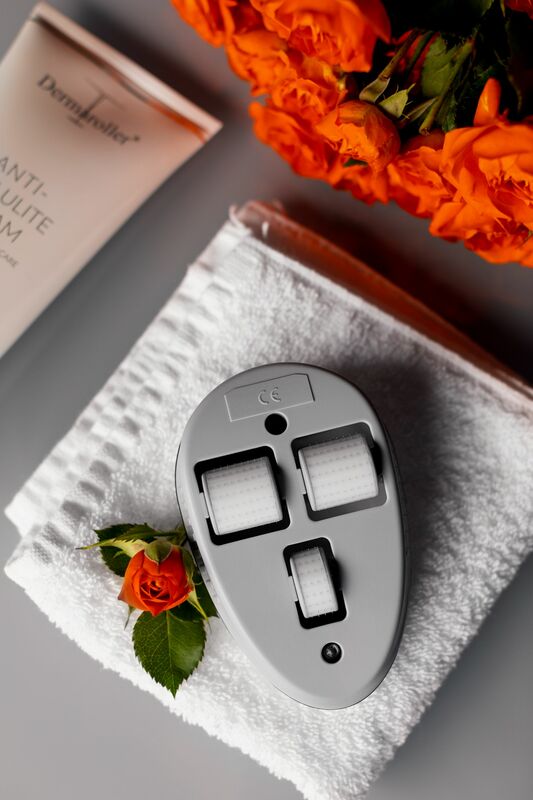 The rich Dermaroller mask intensively supplies the skin with new moisture once again and simultaneously promotes collagen production for increased elasticity. Your skin looks fresher and more radiant. The cooling effect is so pleasant, and the lasting effect of the substance starts within 20 minutes. 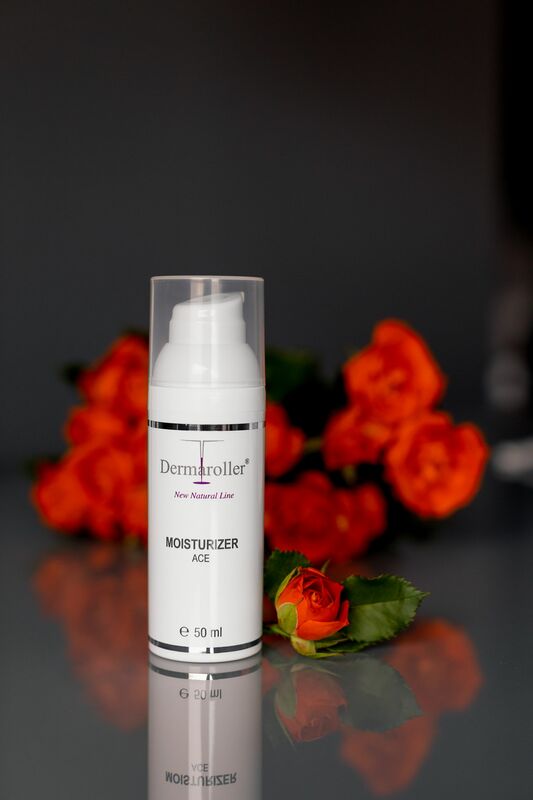 After cleansing, dermarolling and moisturizing, the Dermaroller New Natural Line Colour Correcting Cream conceals impurities and skin redness, depending on how long it is massaged in. In addition, it can be used extensively as make-up foundation or only selectively on certain affected skin points. 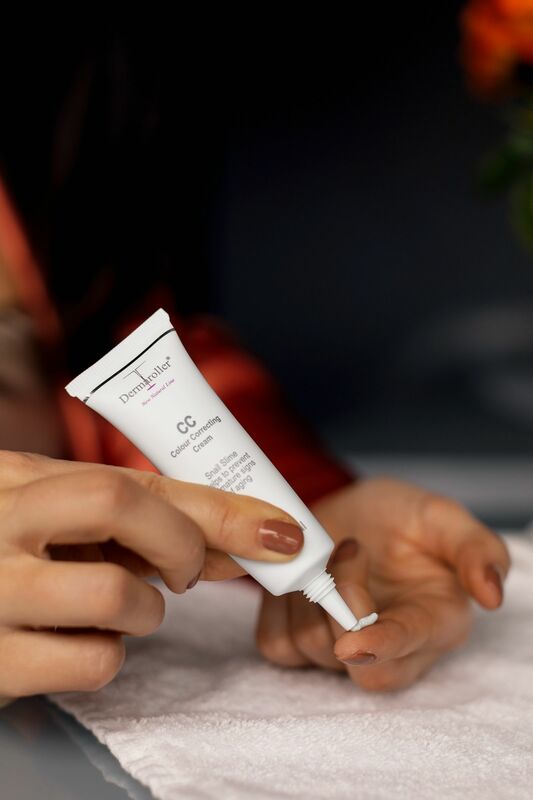 The Dermaroller New Natural Line Colour Correcting Cream can be used with all skin types – even with sensitive or irritable skin. You’ll see the results immediately. I would recommend starting with dermarolling once a week to build tolerance up, then twice or three times a week. 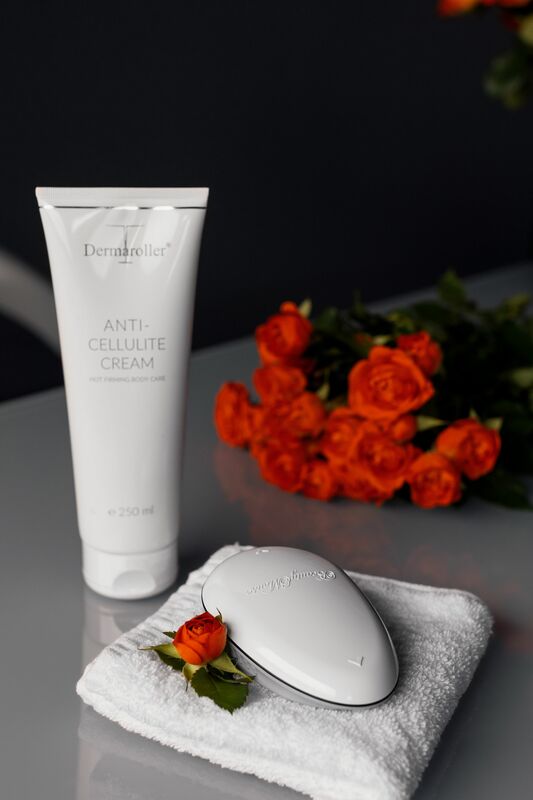 Additionally, Dermaroller created a perfect Beauty Mouse roller for body, as well as an Anti-Cellulite Cream. A perfect duo for problem areas to firm and tighten the skin. This Beauty Mouse can be used on abdominal area, inner tights, glutes, arms etc. Women often suffer from cellulite. Sometimes this can be put down to genetics, however with the help of Beauty Mouse and Anti-Cellulite Cream, these problems can be reduced.